With Advantage Auto Glass and Trim, Tavis is enjoying sole proprietorship with an amazing team of employees. 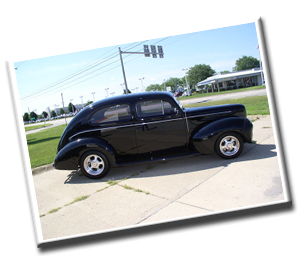 He has worked in the auto glass industry for twenty three years. He became National Glass Association (NGA) Master Technician certified in 1996 and in 2001 opened his first glass shop in Michigan. In 2003 he moved back to Lafayette to form a glass business in a 50% partnership. Tavis still enjoys installing auto glass, as well as managing his shop and working with his customers.